Imagine an island, lit by a spot of light in a vast sea of darkness. 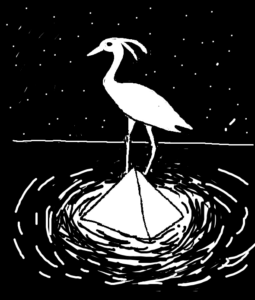 On it stands a heron who creates the beginning of time with the simple power of its voice. It’s an extraordinary image. In fact, some speculate that the pyramid-shaped cap on many Egyptian monuments, such as obelisks, is a reference to that first, tiny bit of land peeking out of the darkness. The word benu is thought to be derived from the words “to rise” or “to shine.” Related words mean “revolution” or “circle,” so, in effect, the benu takes its name from the ideas of “the shining one” or the “one who goes around.” Tradition has it that the falcon of Horus (god of the sky), son of Osiris (the god of the afterlife or transition) flew west with the setting sun and rose in the east as the shining light of the benu. This cycle continues forever until the end of time. Over the millennia, the benu transformed many times to become the modern phoenix. 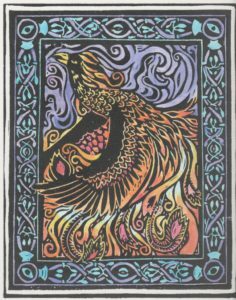 The mythical bird lives for centuries, often 500 to 1000 years (depending on the tradition), before destroying itself in a fiery rebirth. The Phoenix exists in multiple cultures from Greek to Roman, Chinese, and modern America. There are universities and cities named for it. Why? Because the metaphor of life, death, resurrection, and rebirth underlie the human experience and our quest for an optimistic future and the promise of redemption. It is both immortal and not, for it dies again and again. Even its history is a constant revision and destruction. Many cultures have revered and transformed the story to meet their needs. And that is why I have chosen the phoenix as a central metaphor for this work and my own transformation. It liberates you from the status quo. I allows you to think of yourself as having one foot in the past and one in the future… to think of yourself as eternal, yet mortal. Your life has a beginning and end, but you have reach beyond the narrow time frame of your life: you came from your ancestors and your influence will live beyond your years in progeny, friends, and your works. 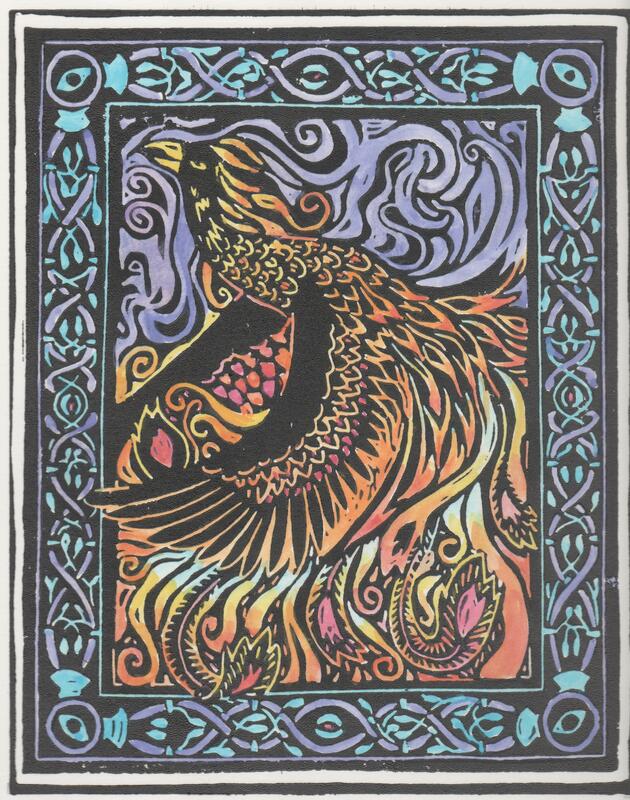 It’s also why the Phoenix is on the cover of my my book, And Yet We Rise. And why I have created a limited edition print to honor this myth and its power to transform our own lives if we let it. Click here to learn more about how to own one of these limited edition prints . Click here if you want to take a deeper dive into your own potential and personal Year of the Phoenix. The Phoenix, (2016) Nigg, Joseph. Hi there! I could have sworn I’ve been to your blog before but after looking at many of the posts I realized it’s new to me. Anyhow, I’m certainly happy I stumbled upon it and I’ll be bookmarking it and checking back frequently!